It is not very often that we have the pleasure of presenting the marketplace with such a spectacular property offering the genuine options of lifestyle and rural pursuit. 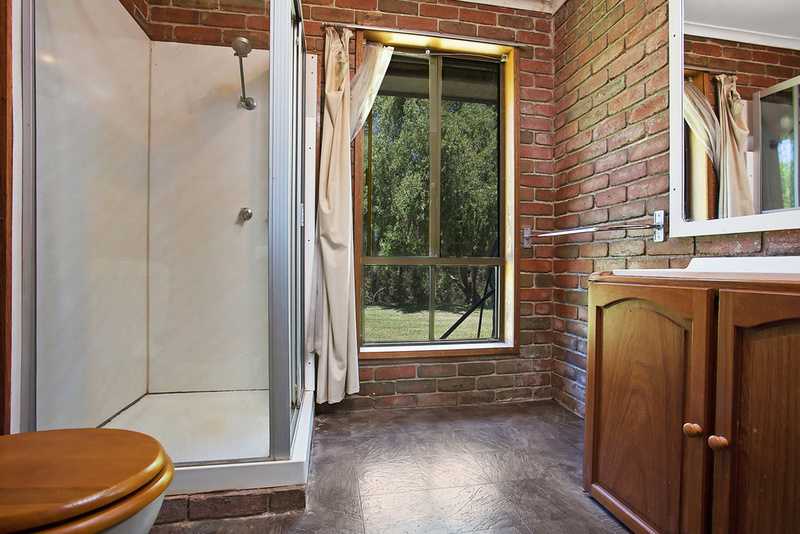 The current owner has simply enjoyed over 2 decades calling 1545 Gellibrand River Road, Chapple Vale his lifestyle property, and as such, it presents itself as an amazing opportunity for the discerning farmer to make improvements and capitalise on. 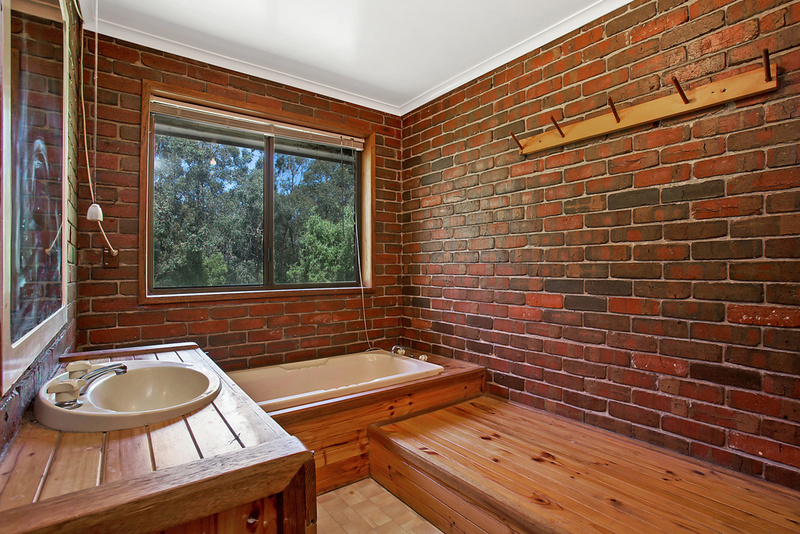 Alternatively, if you are simply looking to make that tree/sea change within reach of the Great Ocean Road (see it on a map here) then this property is for you and can have you fulfilling your desired lifestyle too. 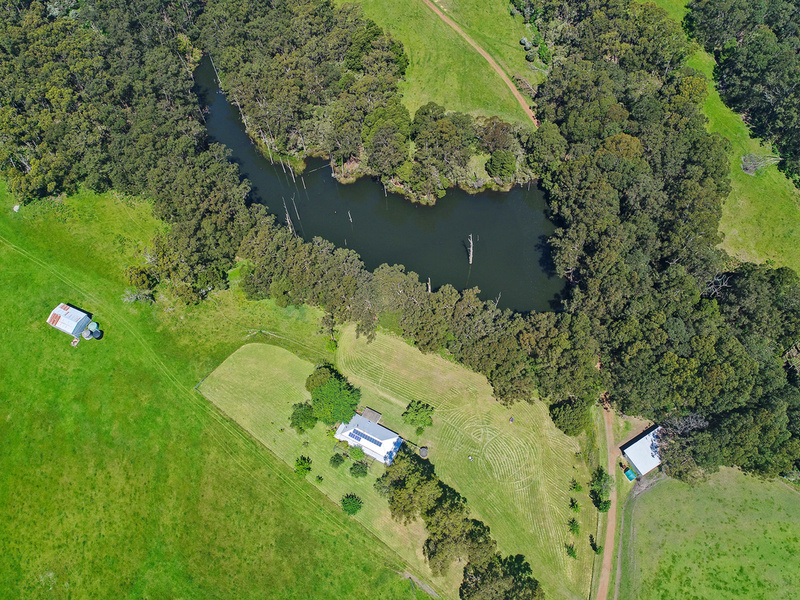 800 acres of a 50/50 combination of rich pastures and untouched bushland greet the lucky new owner here. Featuring an abundance of water availability – a critical resource when climate change is now a more urgent threat and it is so readily available in this part of Victoria. A comfortable home and surroundings that will have you never wanting to leave. Set on 800 undulating acres in the heart of the magnificent Otways is this wonderful property featuring approx 50% grazing land and 50% native bush (stringy bark, manna gum and black wood forest), this unique property offers a perfect blend of lifestyle and income-producing opportunity. The property is bounded by State Forest to the south-west. Located in Chapple Vale – 40 minutes to Colac, 90 minutes to Geelong, 2 1/4 hours to Melbourne, 80 minutes to Warrnambool and only 12 km to the Great Ocean Road. Ample water supply, with 4 km of permanent flowing creek frontage, huge (40 ML approx) dam plus 8 smaller dams throughout the property and an average annual rainfall over the last 17 years of 935 mm. The 40 y/o house is a solid brick 4 bedroom home with large kitchen and spacious lounge room with wood heater plus split system. 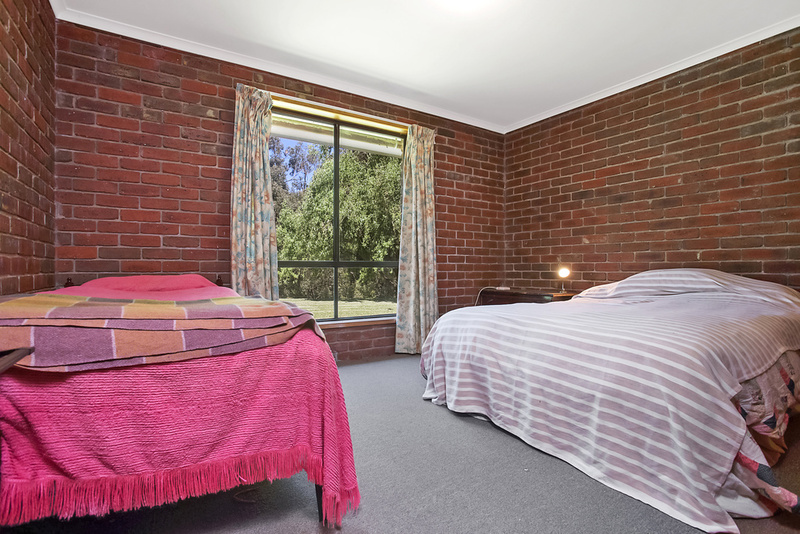 Main has ensuite and WIR. There are solar panels plus mains electricity . Ample scope to seriously pursue the farming aspect and potential for improvement across the property, and/ or simply appreciate the wildlife and natural beauty and serenity. Other improvements include a 20m x 10m machinery shed, 15m x 10m hay shed, and steel cattle yards. 40-50 acres of fantastic creek flats which are green all summer. The property used to be the prime dairy farm in the area and was known as “Chapple Vale Farm”. An amazing and genuinely unique opportunity that is priced to sell at $1,695,000!